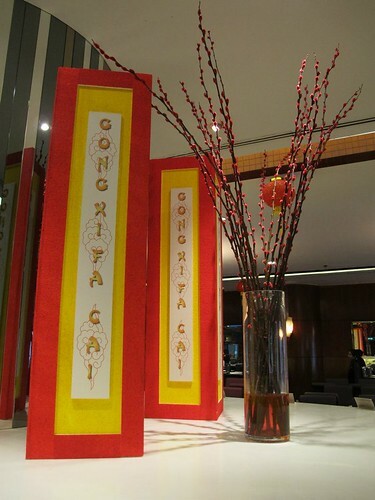 Chinese New Year is just in a week! Can you believe it? 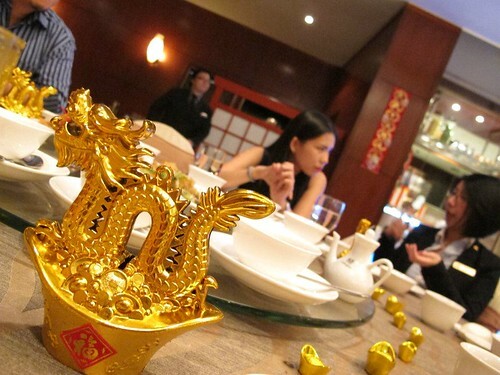 I'm not fully prepared for Chinese New Year but food does turned me on! 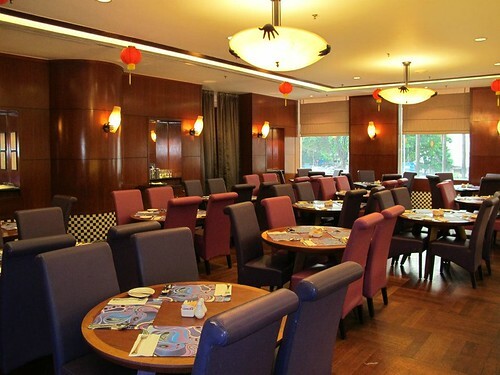 Yummm..Have you thought of a place to dine in with your family or coworkers? 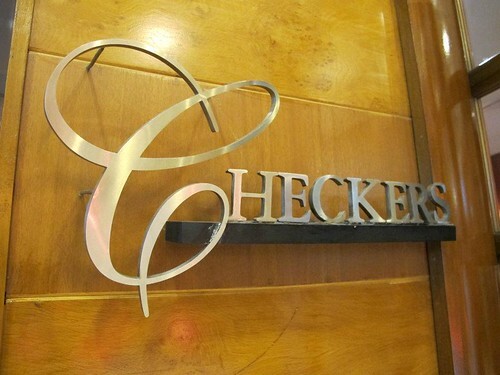 I was fortunate to be invited by Jayren to have a reunion dinner with the bloggers at Checker's Cafe, Dorsett Regency Kuala Lumpur. 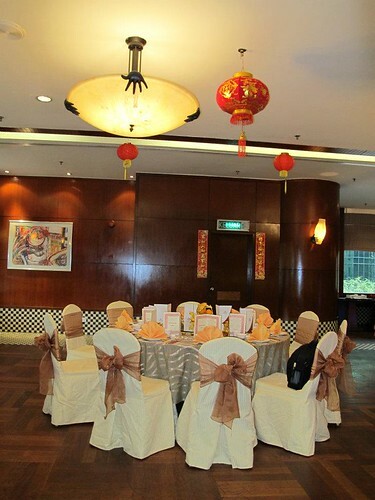 Checker's Cafe is the perfect venue for a hassle-free reunion dinner on Lunar New Year's eve. 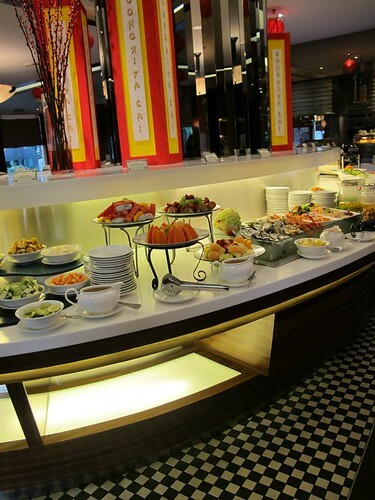 Check out Checkers Cafe's fabulous spread of New Year specialities specially put together by their theim of talented chefs for an unforgettable Lunar New Year celebration together with family and friends. 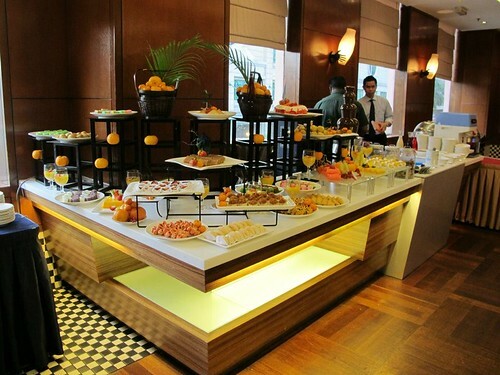 I love the way the arrange their buffet sections. 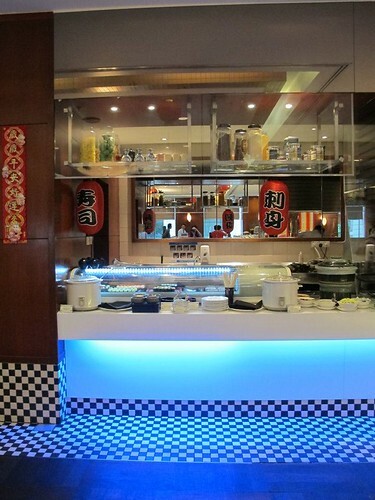 It was nicely organised and they offered wide range of foods from Japanese, Chinese to Western and much more. 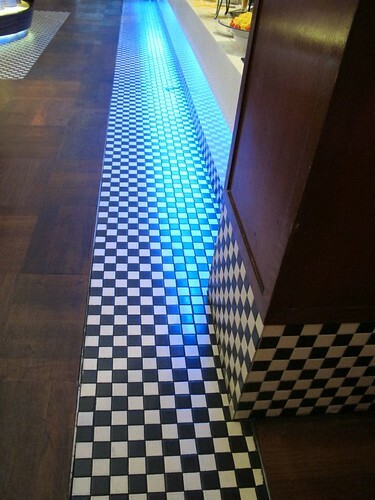 Checkers is the theme of the interior design of the Cafe. 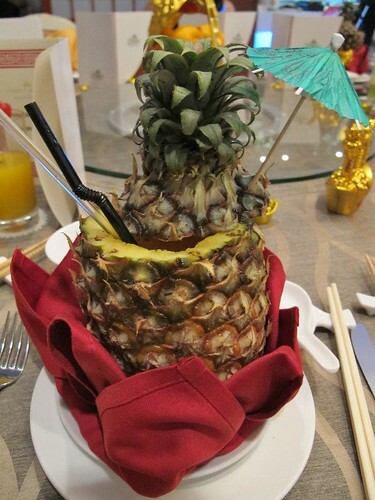 We were served with a drink called Prosperity Splash. 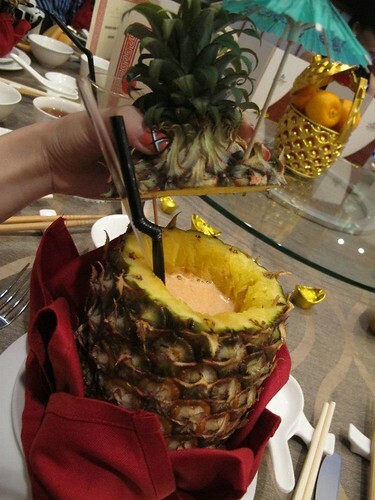 It is made up of a mixture of dragon fruit, orange, pineapple juice and honey. I loved it so much I wanted to have more! 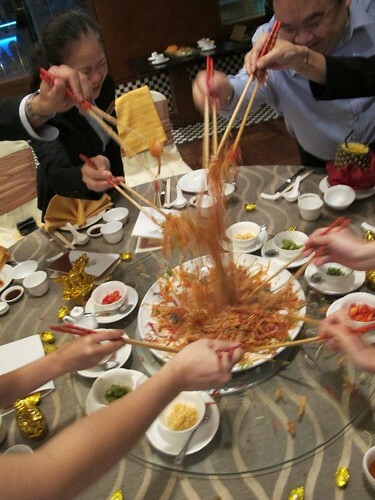 Since it's Chinese New Year dinner, how can we not have Yee Sang? 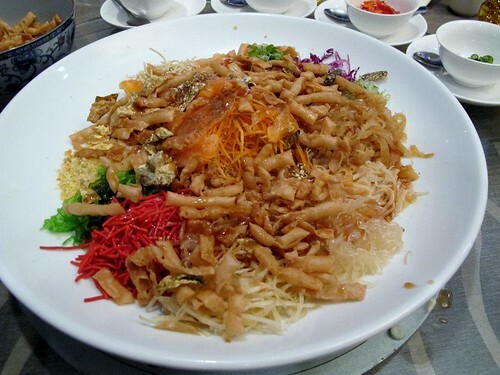 You must try their traditional offerings of Yee Sang with crispy Salmon skin. 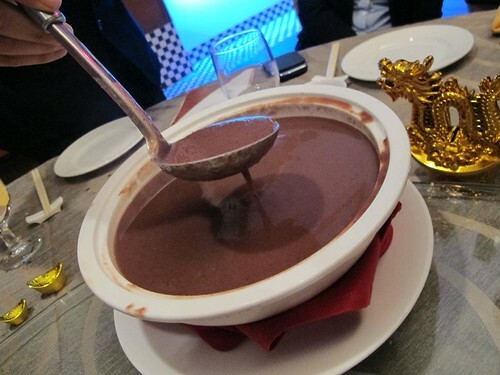 The sauce was specially made by Executive Chef Lai. 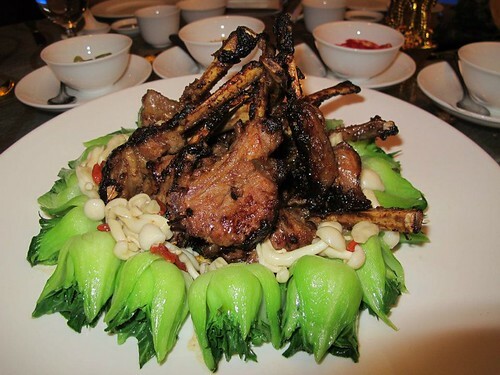 We were then served with Pan-Fried Lamb Rack with Chef Lai's Special sauce. It was aweeeeeesomeee. My saliva is drolling even when I'm writing this post. 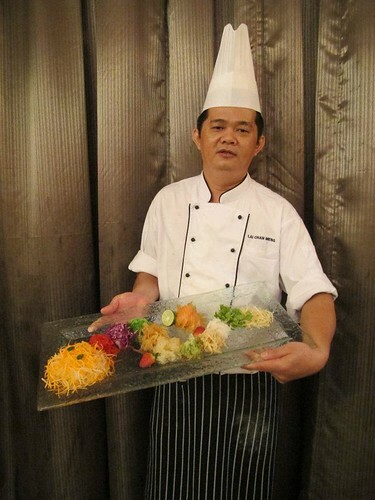 It is actually Chef's best dishes of the day. 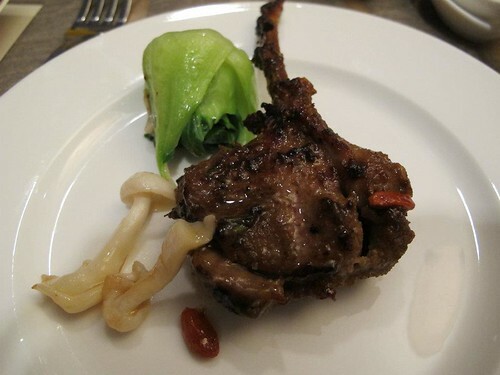 As I've tried the lamb in New Zealand, this lamb tastes more like Asian style lamb. 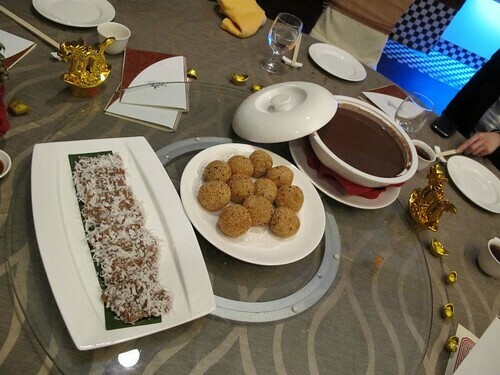 At first bite, you'll taste the Chef's special sauce giving tastes in your mouth and then, lamb meat will be tasted after chewing for some time. I love it! Highly recommended! 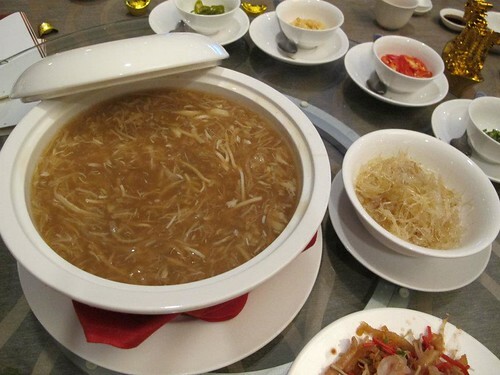 Next it was, Braised Shark's Fin With Assorted Seafood. 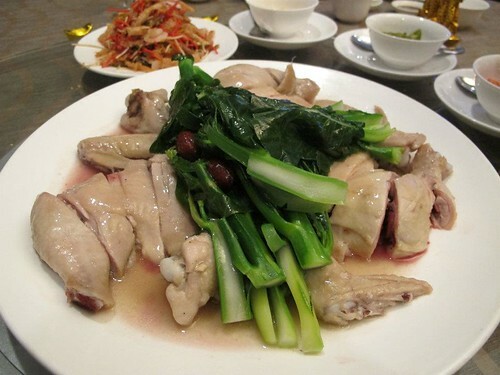 Steamed Chicken With Herbs was mouth-watering. 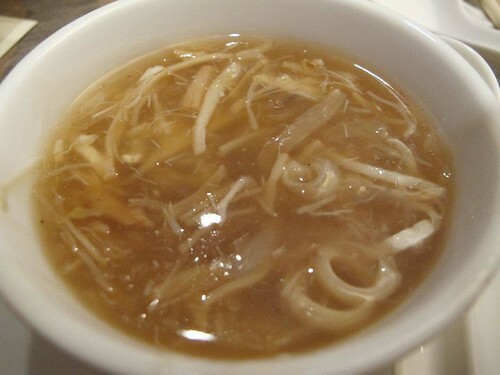 I like how the herbs taste managed to seep in the meat and when you chew, you can feel the herbs soup in your mouth. 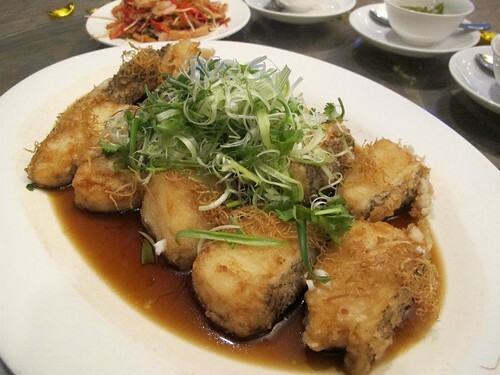 Our fifth dishes was deep-fried cod fish with superior soya sauce. 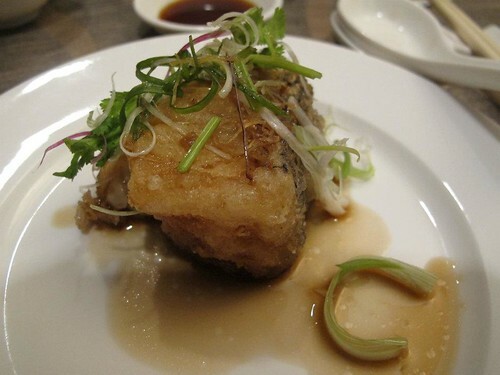 The skin was crispy and the fish meat was tender. 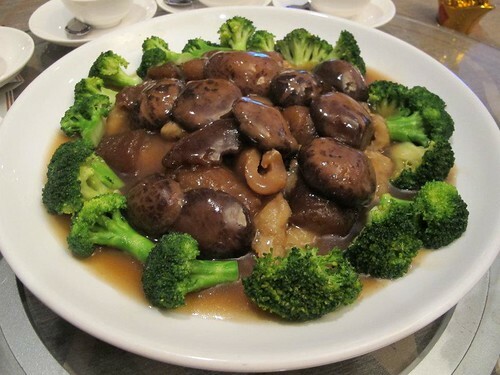 It does goes well with just simple soya sauce to give some taste. I think kids would love these. 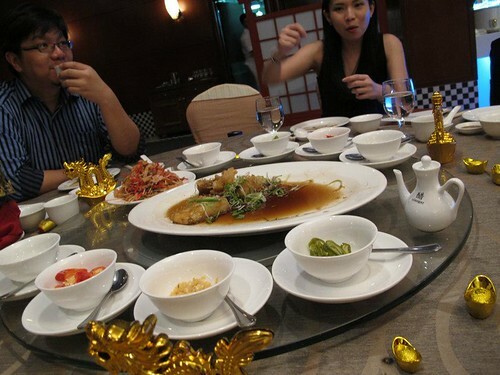 Yummm..I was actually quite full with these 5 dishes already. 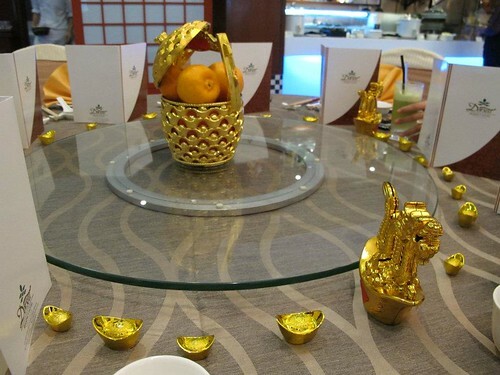 But we're just halfway through these awesome CNY dinner made specially for us. I'll eat even though I'm full. 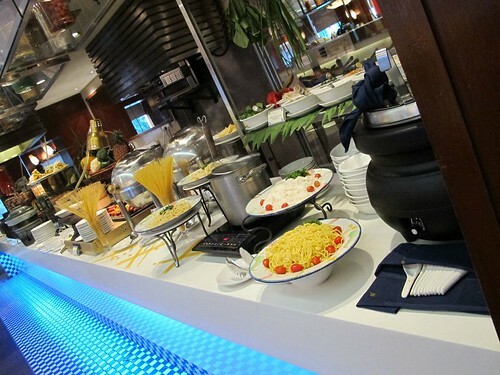 It's been long since I tried good food especially from hotels. 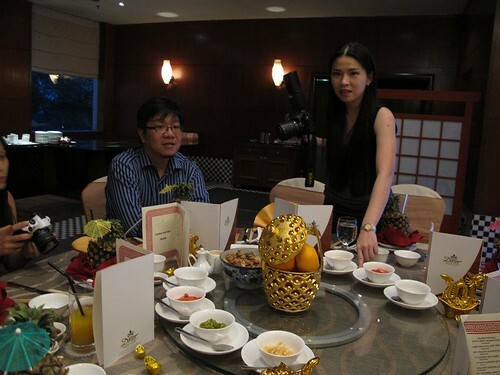 Did had a good time making friends and chatting with the bloggers. 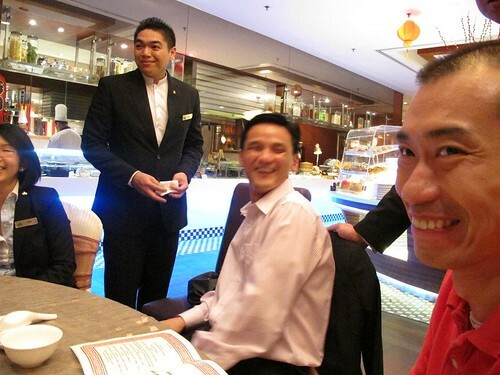 It's my first time meeting most of them. 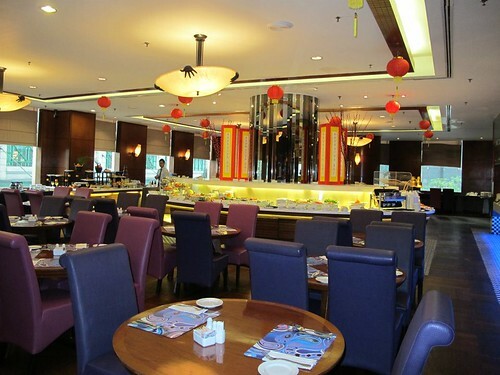 Next, we had Deep-Fried Prawns with seafood sauce. I reckon the meat is a little overcooked but it tastes good overall. 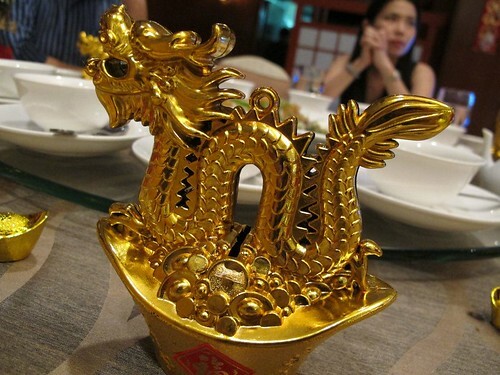 It does have a nice presentable sight. 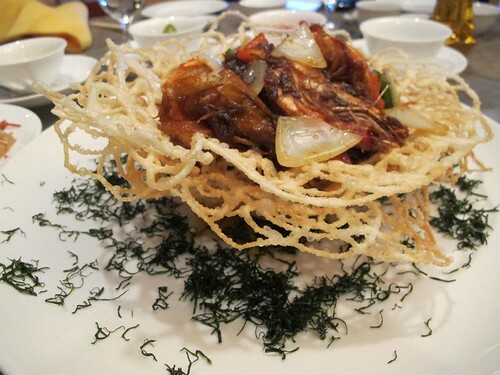 We also had braised fish maw, sea cucumber, dried oyster and black mushroom with seasonal vegetables. You can see that Chef did his job well because the oyster was surprisingly big and juicy. 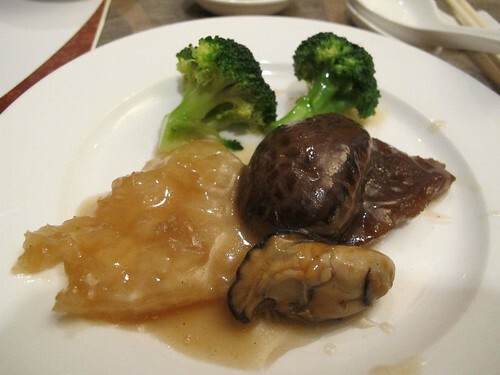 The mushroom was cooked perfectly with fish maw and sea cucumber. 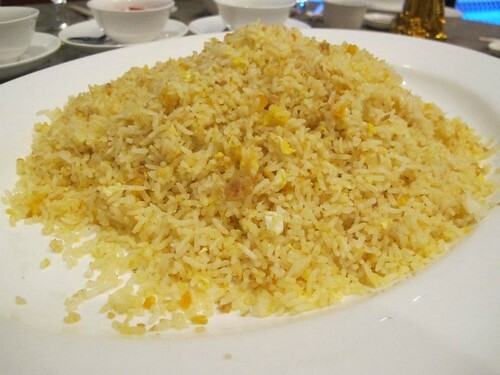 Our last main dishes of the day was fried rice with ginger and salted egg. I'd say this would be my least favourite of the day. 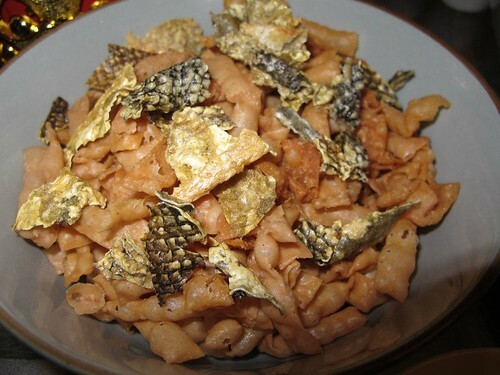 I couldn't taste the ginger and the salted egg could be more rich in flavours. 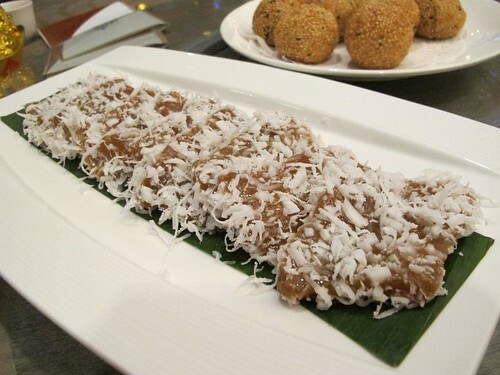 For those with a sweet tooth, this would be your favourite of the day. 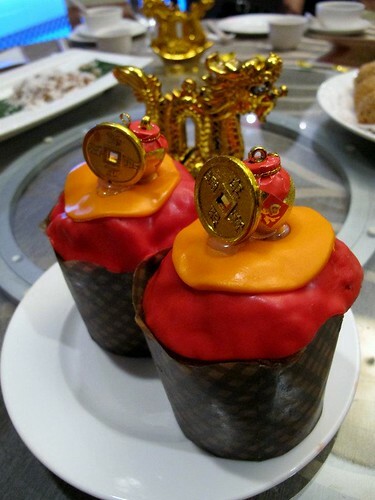 Steamed Nian Gao was handmade by Chef Lai himself. It was soft and tasty. 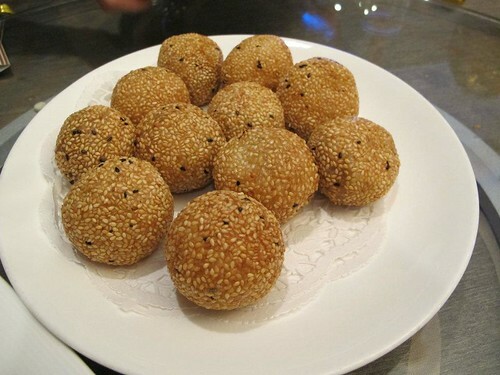 Golden Sesame Seed Balls with Red Bean Paste was filling. 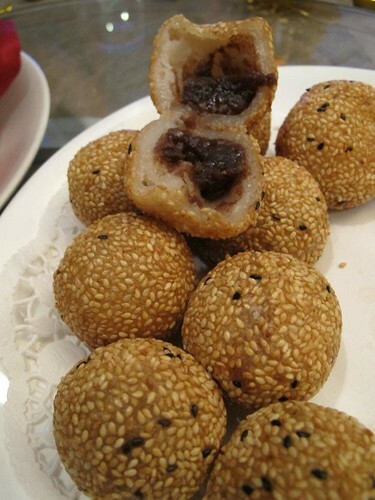 Last but not least, the sweetened red bean paste. 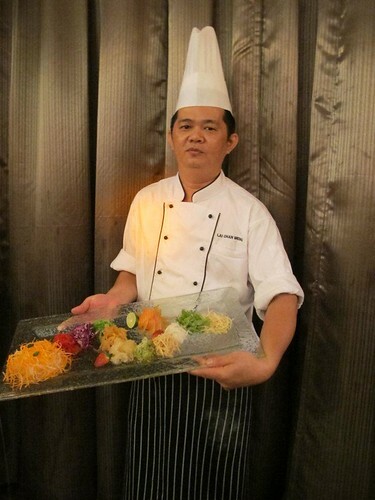 Chef Lai, the man behind all these. He looked really tired when he came out haha. It must been a tiring day for him :) But thanks for the awesome dinner. It made my day. 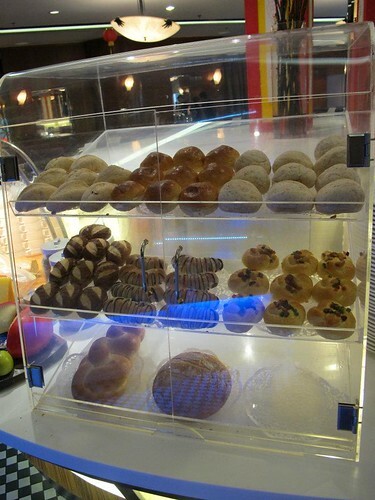 He even made us a small gifts to bring back home in a box and to my surprise, it was a huge muffin! I'll take 2 days to finish one of these haha. 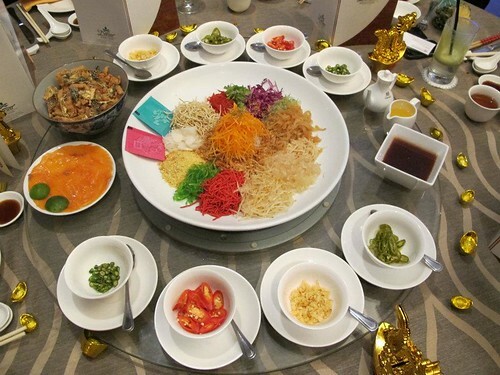 I did had an awesome dinner with the bloggers and it was actually my first Yee Sang of the year. 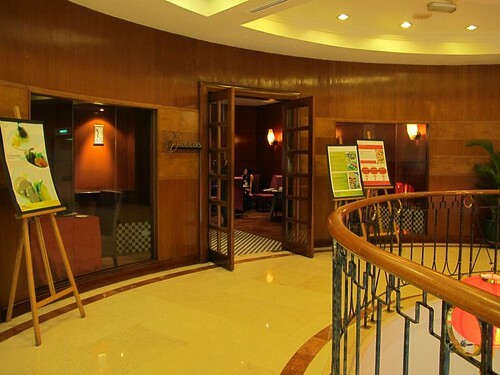 · 50% discount for children between the ages of 4 to 12 and senior citizens of 55 years old and above. 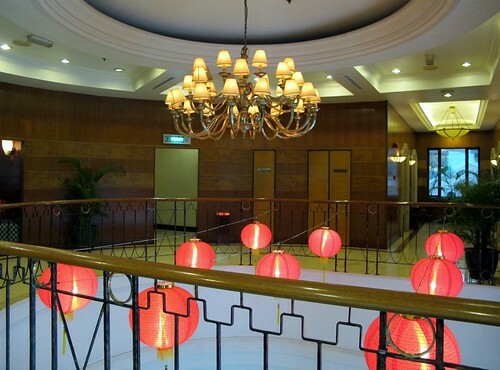 · Prices quoted are subject to 10% service charge and 6% government tax. 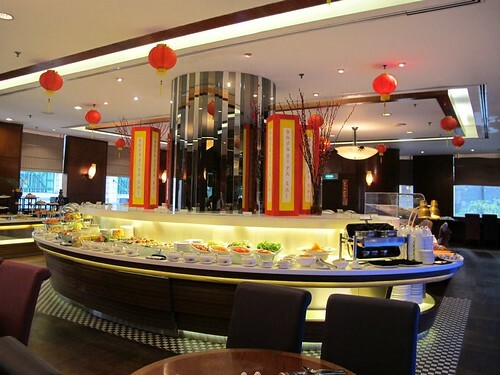 Don't forget to mention Li Kee from http://pink-latte.blogspot.com/ when you make bookings or reservation because you will be entitled a 38% discount as my blog readers!